When you were growing up, sunscreen was likely not as critical as it is now. You may not have even used it. Today, we know how much about the damage from sun. The variety of products available on the market has grown so much, it can be difficult to know what the best options are for protecting children from the sun. This blog post shows a snapshot at the current sunscreen situation, which can hopefully help you make the right decisions for your family. It used to be that all you had to do to choose a good sunscreen was look for a high SPF. According to WebMB though, research has shown that ‘SPF refers to blockage of UVB rays only’ and doesn’t take into the account the ultraviolet rays that also increase the risks of skin cancer. That means the best sunscreens, and those we should be looking for when we’re thinking of children, will be of the new broad-spectrum series. These will still show SPF to cover damage from UVB rays but will also contain specific ingredients that have been proven to block UVA rays as well. 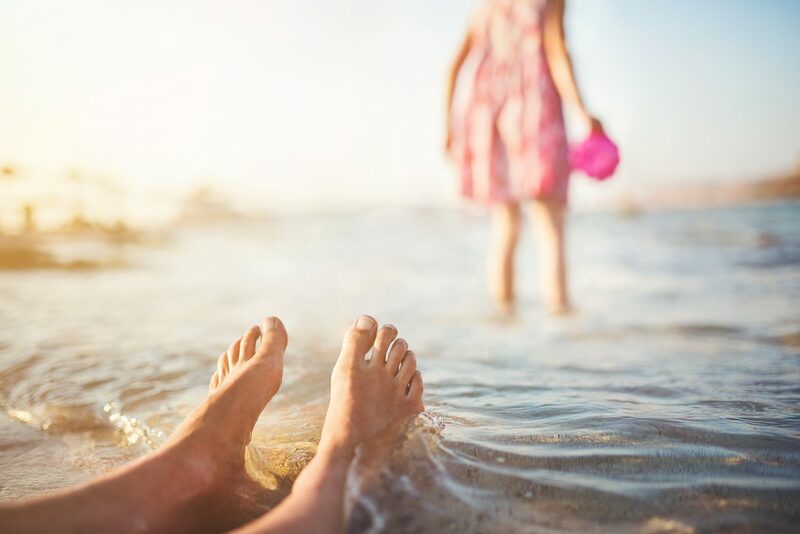 When it comes to kids and camping or beach days, you also want to look for something that is water resistant so it doesn’t wash off every time kids hit the water. WebMD has the most concise definition for this I’ve ever seen. In the past I’ve heard that the SPF indicates how long you can be in the sun before reapplying, or how long the product actually lasts, so the higher the better. WebMD says you still want an SPF of 15 or higher but explains that “if you’d normally burn in 10 minutes, SPF 15 multiplies that by a factor of 15, meaning you could go 150 minutes before burning.” Understanding this and knowing your kids, their skin type and the kinds of activities they usually do, helps you make a more informed decision. Some of the ingredients found in adult sunscreens may irritate kids’ skin, or adult sensitive skin, so choosing a kid-friendly product is best. Simply looking for products that list titanium dioxide and zinc oxide, since these are gentler for kids, is an easy way to sort through the options. Sometimes, the best children’s sunscreens, and products in general, are the eco-friendly options. Intended to be better for the environment, and for users, these products can provide the coverage you want in a more natural form. Brands like Tropical Sands, Purple Prairie’s Sun Stuff, Nature’s Gate, Solbar and Alba Botanica Mineral Sunscreen are all accessible, reasonably priced and well rated. Check with your local natural food and product store and you may find others equally worth trying. If you’re really committed to the environment and knowing what your kids are eating, and wearing, there are also some homemade options that may work just as well. Sites like Wellness Mama offer ingredient lists and even a recipe for concocting your own sunscreen. Since recipes like these aren’t lab tested however, it may be best to try them for small doses of sun time to ensure they work before you send them along as part of a camping list of things to pack. As if the decision over which sunscreen to buy isn’t heavy enough, there is also balancing this with the growing evidence that exposure to the sun – and the vitamin D it provides – is actually good for you. Some doctors say the full benefits of vitamin D from the sun aren’t truly understood yet but suggested benefits include reduced risk of some cancers, better sleep, improved mood and mental health, and lower blood pressure. This growing community of physicians has actually said that our focus on sunscreen every time we send kids outdoors, covered in hats and layers the minute they walk out the door, may actually be harming kids. While they agree that long periods of time in the sun do warrant protection, they also suggest that 10 to 15 minutes of sun, fully exposed and unprotected – that means no hat and no sunscreen – is good for us, and for kids. So when you’re packing for camp, or simply preparing your list of things to have on hand this summer, keep in mind these simple tips when choosing a sunscreen for your children and enjoy your time outdoors without worry.